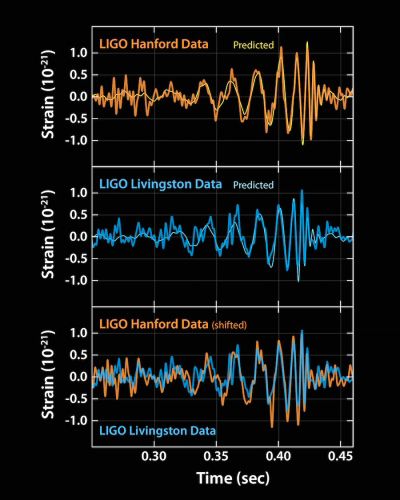 Although initially predicted by Einstein’s seminal 1916 General Relativity Physics paper, on September 14, 2015 at exactly 4:50:45 AM EST ( 09:50:45 UTC ) the very first gravitational wave ever detected, coming from the southern hemisphere, hit the LIGO interferometer in Livingston, Louisiana and then passing thru the Earth the gravitational wave literally chimed 7 milliseconds later the second LIGO interferometer in Hanford, Washington State. Each of these interferometer instruments are separated by thousands of miles in order to augment sensitivity for gravitational waves coming into Earth from deep space. Furthermore, this detection of gravity waves emanating from a binary pair of black holes was confirmed with conventional telescopes having a less than 1-in-3.5 million probability that the gravitational wave audio "chirping" was nothing more than spurious background noise. Thus scientific history was established in much the same manner as when Alexander Graham Bell uttered, on March 10, 1876, "Mr. Watson —Come here — I want to see you", into the liquid transmitting telephone!! This confirming experiment began as an engineering test run at about 4 AM which almost was deferred at the strong suggestion by Dr. Rainer Wesson of the Massachusetts Institute of Technology due to spurious antenna readings plagued by local radio interferences, however as the test run was already underway there was no use in stopping what was unknowned destiny to become scientific history. 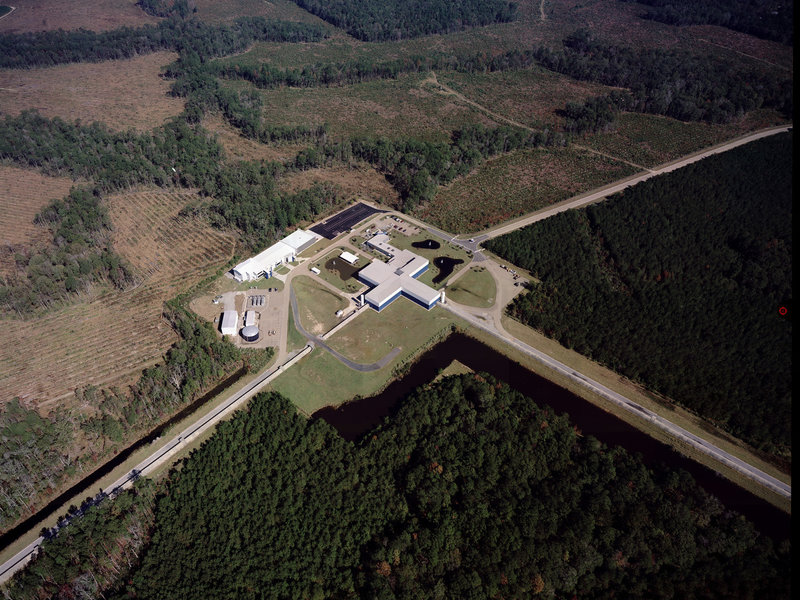 Initial LIGO ( Laser Interferometer Gravity - Wave Observatory ), initially was completed in 1999 - 2000, and then finally began operations in 2002 lasting until 2010 when in 2014 Advanced LIGO underwent a major upgrade with better vibrational isolation and newer lasers and mirrors to dramatically increase its sensitivity powers, it nevertheless took about $1.1 billion from the U.S. National Science Foundation budget spent over more than 40 years in order to build from conception to final construction and, then, final confirmation of Einstein’s 1916 General Relativity Physics thesis for the actual detection of the existence of gravitational space-time waves. Then only again in Fall 2015, Advanced LIGO underwent another $200 million overhaul before making its historic September 2015 gravitational wave discovery. LIGO essentially consists of a pair of perpendicular criss-crossing, L-shaped hollow arms, each 2.5 miles long, only a couple of feet wide, and all wrapped in layers of cement and steel, and each containing an absolute bottle of vacuum of approximately 2.5+ million gallons of total empty space! 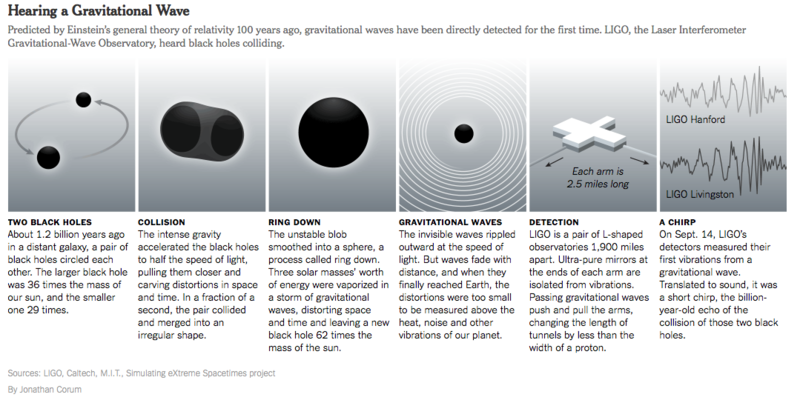 The LIGO project was led by scientists from both M.I.T. and the California Institute of Technology, together with a European team known as the Virgo Collaboration, operated by the European Gravitational Observatory, but most importantly LIGO is a great triumph for three outstandingly theoretical physicists: Kip Thorne of the California Institute of Technology, Rainer Weiss of the Massachusetts Institute of Technology and Ronald Drever, a gifted experimentalist from the University of Glasgow, later of Caltech, and now retired in Scotland with severe dementia living in a nursing home near Edinburgh. And the published paper in Physical Review Letters, editor Robert Garisto, DOI: 10.1103/PhysRevLett.116.061102, February 11, 2016, consisted of more than 1,000+ worldwide American and European contributing authors from more than 15 countries. Later in the Fall 2016, an Advanced Virgo will begin in Italy and others as well are planned for more in India and Japan, in order to more greatly span the Earth. 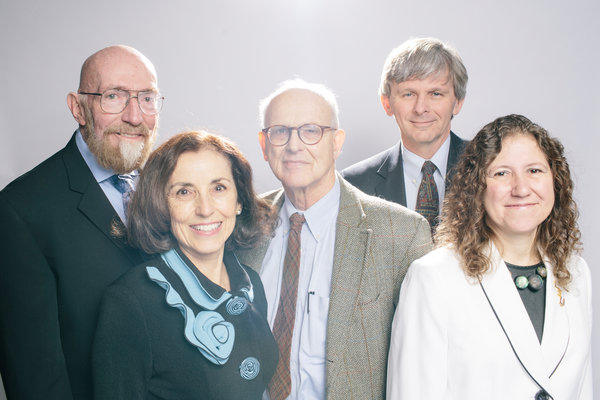 Outstanding members of the final LIGO project, from left to right are : Kip Thorne of the California Institute of Technology, Director France A. Córdova of the National Science Foundation, Rainer Weiss of the Massachusetts Institute of Technology, David Reitze ( LIGO executive director ) of Caltech and Gabriela González ( LIGO scientific spokeswoman ) of Louisiana State University. The exact merging of these coalescing pairs of binary black holes arrived to Earth from approximately 1.3 billion light years distance away, equivalent to 410 mpc astronomical units or approximately 10% of the way across the visible universe, and whose origin of this event began before there were any multicellular organisms on Earth! Further, never before had there ever been direct evidence visually "seen" by telescopic redshift anything like this merging pair of binary black holes! 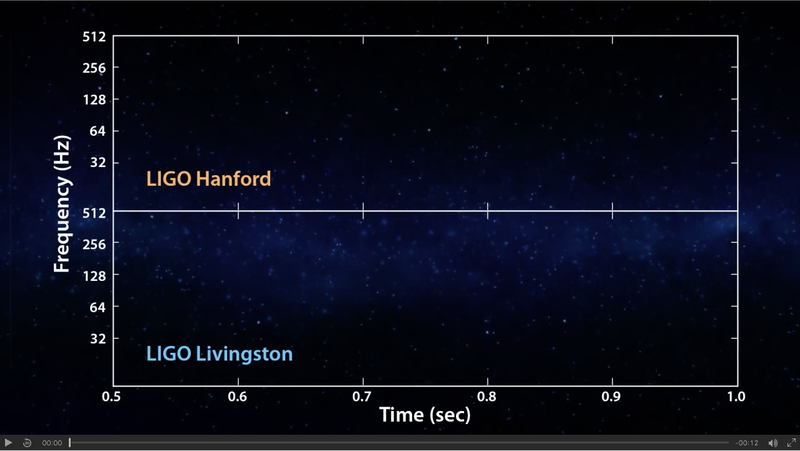 And instead of visually observing redshifts by telescope "eyes", LIGO was specifically engineered of "ears" for audibly 'hearing gravitational waves' inside LIGO's "sweet spot", the "chirping" of which lasted a mere 1/5th of second as recorded during a duration of some 12 seconds. The discerned binary pair consisted of one black hole measured at 36 Sun - masses, approximately the size of a major world metropolis, while the second one came in as 29 Sun - masses, and the final coalesced black hole measured the equivalent of some 62 Suns after which the "chirping" suddenly ended as the binary pair finally coalesced into a single black hole. Towards the end of their orbiting dance of death, this binary pair initially achieved 75 orbits per second while finally speeding up to 250 times per second at 1/2 the speed of light. 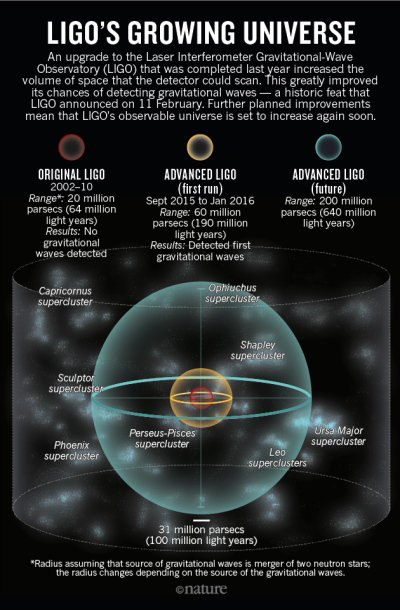 Now the equivalent amount of vaporized black hole energy transformed into gravitational waves, traveling at the speed of light towards LIGO in the binary merging, was approximated to the brightness of a billion trillion suns! 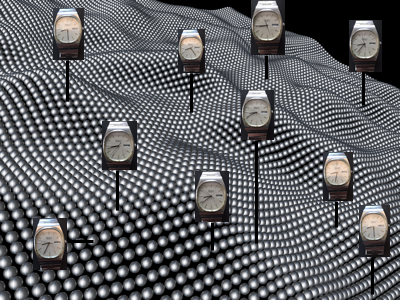 "What the first LIGO detection would look like up close"
source: Simulating eXtreme Spacetimes ( SXS ) Project, supported by Max Planck Society, NASA, et al. Now before this outstanding definitive experiment, there had been the tantalizing 1978 astronomic experiment by Joseph H. Taylor, Jr. and Russell A. Hulse of observing an orbiting binary pair for which a 1993 Noble Physics Prize had been awarded strongly suggesting that the periodic beam of electromagnetic radiation produced by the companion pulsar to the neutron star, as the pair lost energy, precisely matched that which would be expected by emanating gravitational waves. The final end result of this LIGO gravity wave experiment was confirmed by the fact that each of the interferometric arms and their respective isolated mirrors, hanging by ultra-thin glass threads, were sequentially contracted and expanded to the unimaginablely and infinitesimally equivalent amount of 4/1000th ( four one-thousandths ), and perhaps even as small as 1/1000th, of the diameter of a proton where the conveying gravitational waves contained at peak power 50 times greater the amount of energy as all the output of all the stars in the universe combined!! 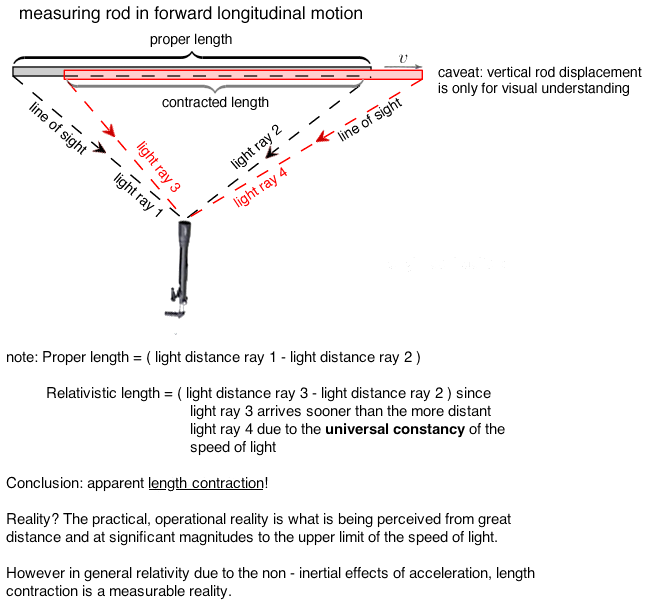 That is, the gravity waves lengthened one perpendicular arm of LIGO by pushing apart mirrors at the arm’s ends while shortening the other arm by an equivalent amount and, thus, the oscillations of shortening and lengthening of the L-arms occurred about 12 times before the sequence of the gravitational waves and their respective energies had completely dissipated, but not before "chirping" audibly inside LIGO's "sweet spot". And now astrophysics has discovered a newer and more powerful means to penetrate deep into black holes, beyond and deeper past the event horizon, where no telescope and its redshift is ever allowed to go! Next to penetrate as well will be the moment of the Big Bang singularity itself and hence the ability to peer deeper and deeper into time and space further than anything presently imaginable to probe for undiscovered fundamental particles that might only exist in the warped-ness of spacetime immediately surrounding black holes. "Observation of Gravitational Waves from a Binary Black Hole Merger", by B.P. Abbott et al., DOI: 10.1103/PhysRevLett.116.061102.